Telescopes are fundamental instruments to observe the night sky and if you are getting into Astronomy you probably know you need to choose a scope that will let you learn and enjoy this incredible journey without limitations. But picking the right one can be an intimidating task with such amount of brands, models and factors involved. 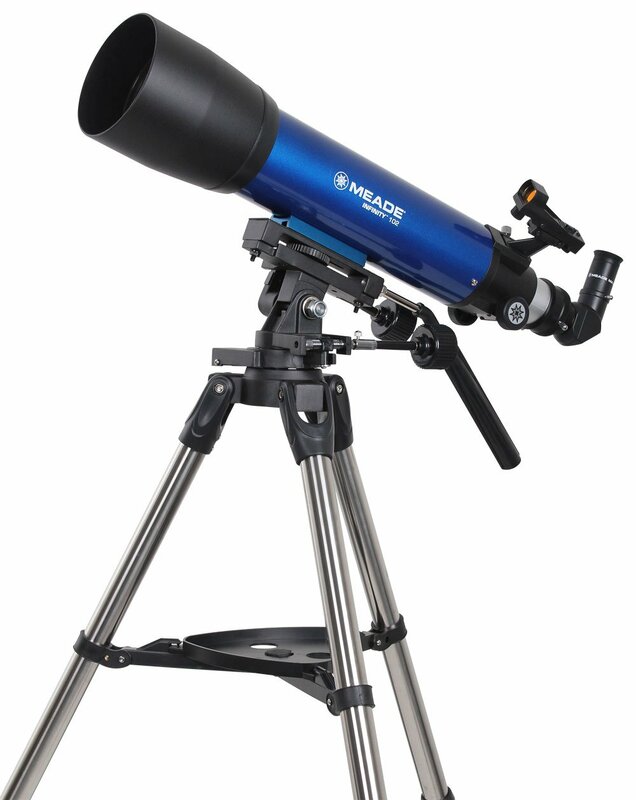 In this buying guide, we will cover the best home telescopes for viewing planets and galaxies. Hopefully making your decision a little easier! How can I observe these objects closely? What kind of telescopes do I need to see clearly? What features should the telescope have? How much will I pay for the telescope? Will the telescope endure the outdoor environment? Is it easy for me or anyone of my family to handle a telescope? Before you decide, let’s go through the fundamentals of a telescope. What to look for in a Telescope? In case you decided to buy a telescope for domestic purposes, you should bear in mind a few factors concerning the telescope features to get the best value for your investment. It is the distance between the center of the lens and the point at which the light is focused. In general, the telescope consists of two main parts. The optical tube, which includes the objective lens (if the telescope was “Refractor”) or the main concave mirror (if the telescope is “Reflector”). The focal length is directly proportional to the magnifying power of the telescope. So, the more focal length the telescope has, the bigger you’ll see the objects. The aperture size or the diameter of the telescope is a big factor you should consider when buying a telescope since how much you can see through the telescope depends on this diameter. There is a direct proportionality between the size of the telescope and the resolving power. The resolving power is the telescope ability to show details. Meaning, the higher the resolving power, the better it can show adjacent items one by one. Massive telescopes are able to gather more light, that way you can look at fainter objects in the sky. Particularly important if you’re in town and the sky is polluted. A focal ratio is a number calculated by dividing the diameter of the telescope by the focal length, This number will be related to the image quality that a certain telescope may have. So, if you have two telescopes with the same focal length but one has a higher focal ratio, that telescope will have a much larger diameter. Another example, if you have two telescopes with the same aperture size but one has a larger focal length, that telescope will be much longer. Both previous cases would be difficult to deal with since you probably want a portable and lightweight telescope to carry easily and get into your car. The telescope mount is the stand that holds all the telescope components and as you can imagine it’s an extremely important part. You should consider buying a good one. It stabilizes the telescope on the ground against wobbles and the wind. When you look for a telescope mount you’ll primarily find two types of mounts, equatorial and alt- azimuth. The equatorial is essentially used to follow the moving objects in the sky and the alt-azimuth is like the normal tripod of a camera. The advanced equatorial mounts include a motor drive to track objects and sometimes they come with a programmable computer that includes a large dataset of astronomical objects to aim the telescope automatically. So again, it’s a good idea to invest in the telescope mount. There are a lot of telescope models available in the market, with different features and specs. Here, we list the best telescopes for beginners in 2018 with a general overview for each one. From our point of view, the Celestron NexStar 6SE telescope is one of the first-class telescopes for beginners and intermediate astronomers. The NexStar 6SE is especially interesting in case you need a professional computerized mount and monitoring software. The scope comes with printable sky maps, 75 enhanced photographs, and a 10,000-object database. These are superb assets for those keen to explore the universe. Because the NexStar 6SE is portable, user-friendly, and effective, it’s by far the proper scope for outdoors as well. Celestron is definitely a big name in the Telescopes market and they’ve earned their prestige with years of great products. 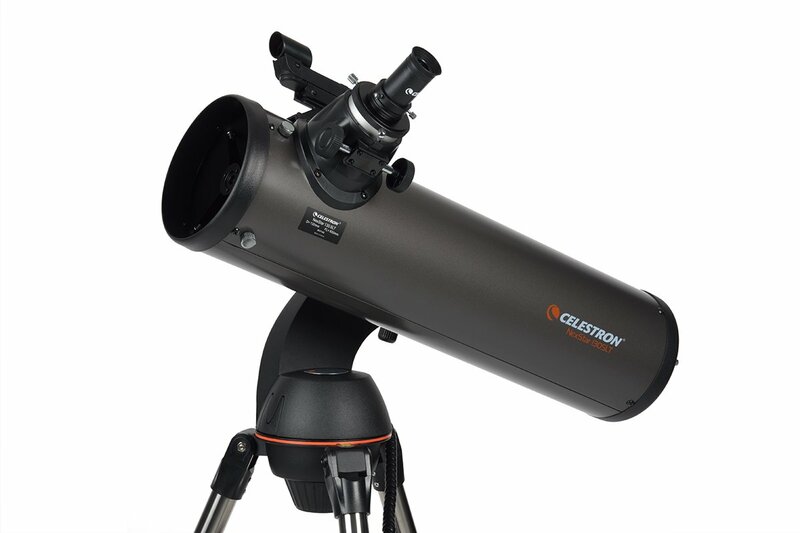 If you are interested we also have a buying guide focused on Celestron products. The telescope includes 8AA batteries that tend to drain quite fast. 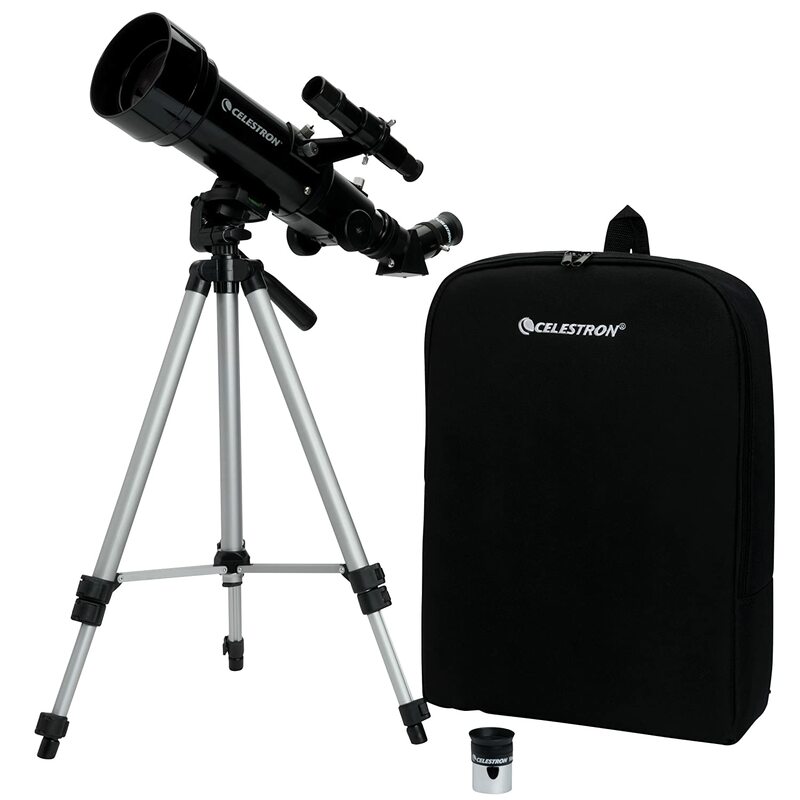 For outside observation, the Celestron PowerTank will extend your observation period. Celestron NexStar 130 SLT Computerized Telescope is an excellent scope for all beginner and intermediate astronomers. Its primary feature is the completely automated Altazimuth mount, with the StarPointer finderscope, which means that introducing the date, the time and the location, this scope will automatically turn to the nearest and brightest celestial body in the sky. The SkyAlign gadget allows you to align on any 3 shiny celestial objects. 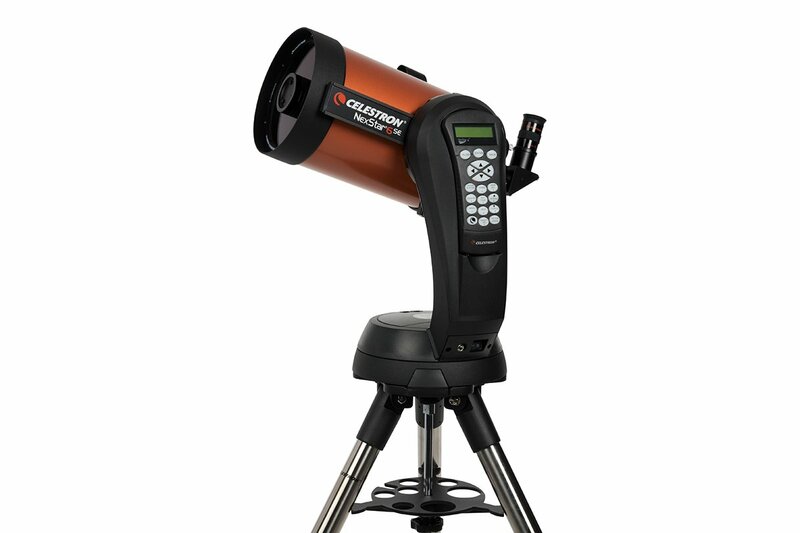 Considered one of the Celestron’s first-class amateur telescopes, Celestron NexStar 130 SLT Computerized Telescope will genuinely make your interest in astronomy develop sky-high. This scope was designed as an inexpensive entry-level telescope that can be set and utilized in a few minutes, but it can be also used by an advanced mid-entry level astronomer. A fun, capable, and simple point-and-view tabletop reflector telescope popular among both beginners and seasoned astronomers thanks to its ease of use and versatile performance. Substantial 6″ aperture reflector optics reveal good detail on planets and Moon, as well as bright deep-sky objects such as nebulas, galaxies, and star clusters. The compact tabletop design gives the StarBlast 6 reflector great grab-and-go portability – weights just 23.5 lbs. The sturdy base arrives pre-assembled in the box for a hassle-free setup. Includes a 25 mm and a 10 mm telescope eyepieces. An aiming device, an eyepiece rack, Starry Night software, and more! 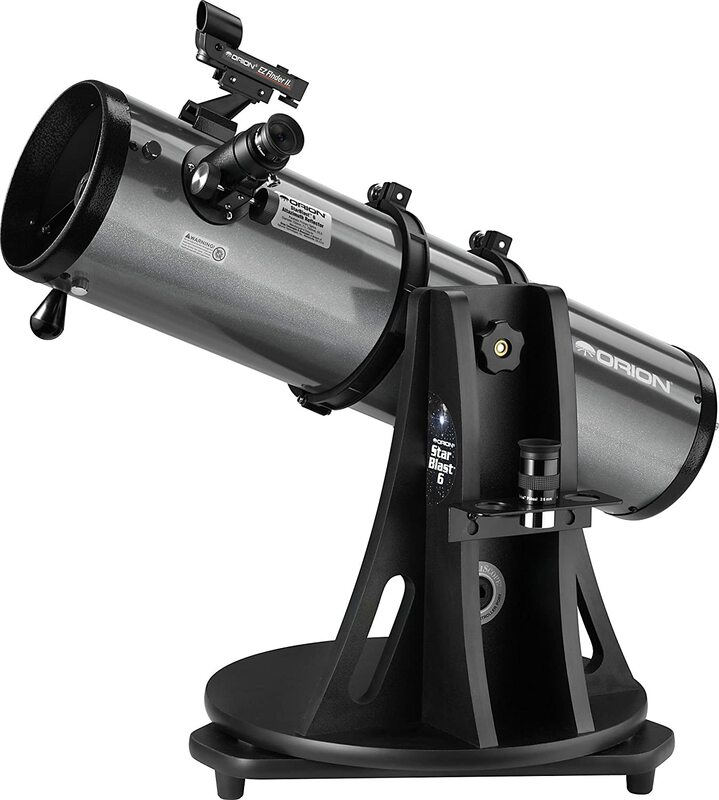 With an Orion SkyQuest XT4.5 Classic Dobsonian reflector telescope stargazing is easy and fun for the whole family. Its portable size, innovative design, and point-and-view simplicity make it an extremely user- friendly telescope for beginners and intermediate stargazers alike. 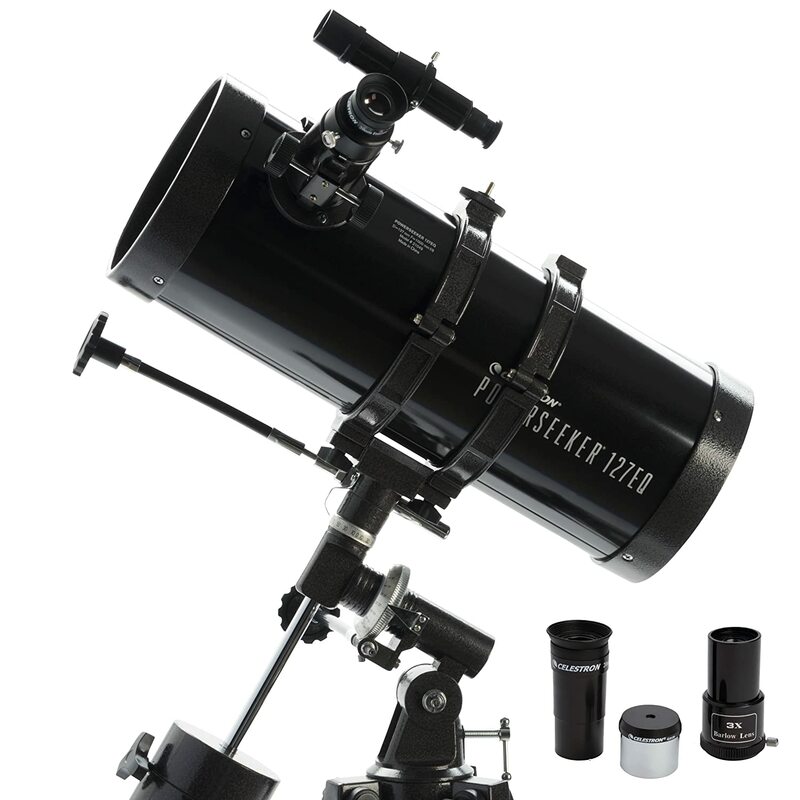 The Orion SkyQuest XT4.5 Classic Dobsonian’s Newtonian reflector tube assembly features a big 4.5″ diameter light-gathering mirror housed in an enamelled steel tube. This spherical primary mirror pulls in 260% more starlight than the lens of a 60mm refractor. 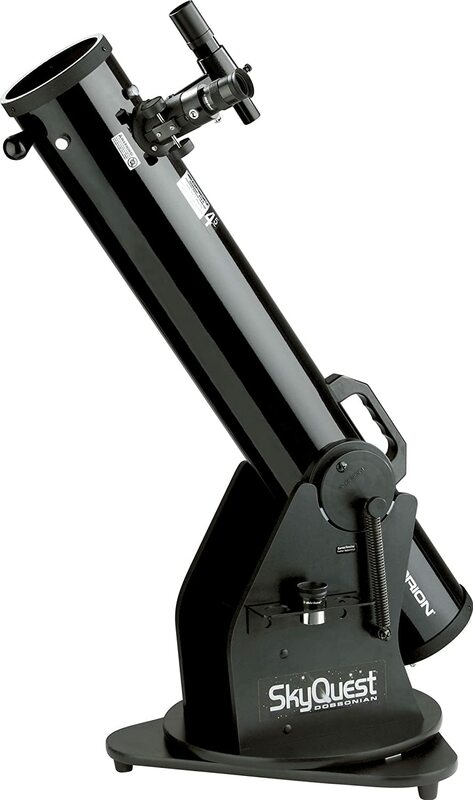 The 4.5″ Classic Dobsonian is a great telescope for surveying the Moon’s many craters, valleys, and mountains. It’s relatively long focal length and f/8 focal ratio provides well-defined views of Jupiter’s cloud band “stripes” and nearby Galilean moons, not to mention Saturn and its awe-inspiring rings. This telescope is not limited to only view objects in our solar system. The SkyQuest XT4.5 Classic Dob. is a great telescope to use while star-hopping among the Milky Way’s diverse star clusters and nebulas. Length of optical tube: 35.0 in. If you are looking for a simple beginner telescope, then the Meade Infinity 102 mm AZ Refractor Telescope is the scope for you! This Meade scope will fascinate you with its sleek design, smooth curves, and the promise of all the celestial objects it will reveal. Eyepiece(s): Three 1.25″ MA (26 mm, 9 mm & 6.3 mm). Assembled Product Weight: 5.5 lbs. Quick and easy no-tool setup, slow motion controls for smooth tracking, also ideal for terrestrial and astronomical use. The package includes “The Sky” Level 1 planetarium software with 10,000 object database and enhanced images. This telescope was designed with travelling in mind while offering exceptional value. The Travel Scope is made of the highest quality materials to ensure stability and durability. All this adds up to a really good choice that gives you a great tool with a minimal amount of maintenance. Featuring a compact and portable design with ample optical performance, the Travel Scope is ideal for terrestrial as well as casual astronomical observation. Except in the case of solar telescopes, magnification is the least important element of a research telescope. Magnification depends on focal length. As the magnification increases, the telescope focuses on a smaller piece of the sky. Most research telescopes are designed to operate at the smallest magnification possible, to examine a larger piece of sky. The distance and details they see depend more on their light-collecting ability and resolution than their magnification. Solar telescopes, however, can rely on magnification because they don’t have to look deep into space, see much of the sky, or gather much light to clearly view the Sun. A modern research telescope is only as good as the cameras and other instruments that record and analyze the light that it captures. Instruments are judged by many factors, such as the quality of their images, how effectively they spread out light, and how much light they capture. Faint objects are hard to see. Objects appear faint because they’re far away, and/or because they glow dimly. The more light a telescope can collect, the better it can see faint objects. Large mirrors and lenses allow telescopes to collect more light. Resolution is the ability to see detail in an object. A telescope with high (good) resolution will be able to see two points of light as being separate from one another. A telescope with low resolution will blur the two points together into a single point of light. Aperture is the most important thing to consider, so try to go for a minimum of 4″ if you want to see stars like the way you want. High magnification let’s say around 100x, it’s reasonable. The longer focal length will mean a higher focal ratio. Lastly, Newtonian reflectors, eyepieces and equatorial mounts. All the suggested telescopes here can, in principle, see most of the planets such as Jupiter and its main moons, Saturn and its rings, Mars, Venus. The large telescopes can even see Uranus and Neptune as a little blue dot. The best telescope brands in the market are Celestron, Meade, and Orion. Before you can begin observing, you must set up your hand control, align your finderscope and align your telescope. To get the telescope working, you will need 8AA batteries. Keep in mind you can also plug the scope. For a correct maintaining, cleaning your telescope from time to time is crucial to protect the components from dust and water vapour. However, it’s tricky to do so and you must be careful because lenses and mirrors are sensitive. Take care of your optics and clean them only when necessary. If dust has built upon them, remove it with a specialized brush and some pressurized air. Do not use industrial cleaning solutions, as these may contain alcohol or other substances that may destroy the lens. Apply some optical cleaning solution on a very soft piece of cloth and remove any debris left from the center to the outer portion. Minimize the risk of contamination and thus the need to clean your scope by applying the lens covers as soon as you finish using the telescope. Being a Newtonian Telescope, for example, the Celestron NexStar 130 SLT Computerized telescope will need to be collimated occasionally, but you can find all the information about collimation either in the telescope’s manual or online. All other things being equal, bigger is simply better. Bigger telescopes can collect a greater abundance of light than small ones. As a practical matter, this means that dim objects will stand out more clearly. When planning your purchase, remember that there will be additional expenses. Filters and eyepieces will be necessary, but their price isn’t necessarily enfolded into the telescope’s price. Eyepieces typically come in a set. Be sure the set you select gives you a high level of magnification. Some telescopes come with a computer-controlled mount that should stay in place without wiggling or wobbling whenever you adjust its focus on some planet or star. Experiment with it at the store to make sure the mount is manoeuvrable and stable, to be certain that the optical quality is satisfactory. Understand whether you’re going to be using your telescope for stargazing or for photographing the night sky. For stargazing, a firm alt-azimuth mount will let you enjoy your new hobby without being annoyed by constant small adjustments. If, however, you want to take pictures (engaging in astrophotography), you’ll need a mount with a clock drive to compensate for the Earth’s rotation and allowing you to track the stars for longer exposures. This means the telescope can track any objects you wish all night long while adjusting for the Earth’s constant rotation allowing a long exposure. Yes, bigger is better, but size needs to be balanced against ease of transport and simplicity of setup. This is particularly important if you’re purchasing it for a child. To sum up, we presented an overview of the best rated beginner telescopes for home in 2018. At this point, you should have a clear understanding of what you need to consider to make a good buying decision. We hope you found some useful tips today!